This Is A Tippmann A-5 Marker With Added E-Grip. 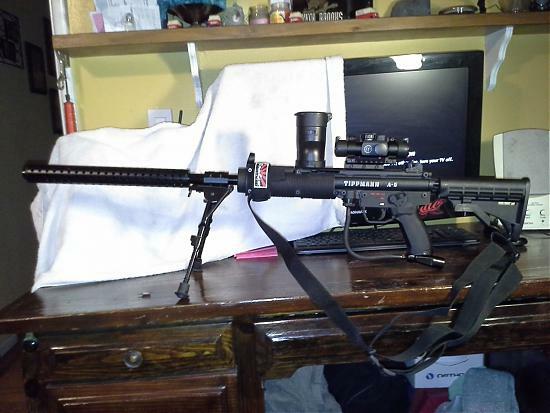 Attached Are Many Other Accessories Such As A Scope, Stock, Barrel Shroud, Ect. Ive always thought the Pod hopper thing looked pretty neat.